Are you bored of the same old ways of promoting your business over media? The boring pattern of television, radio, and newspaper advertisements are not at all engaging and in fact, all the businesses have tried it in the past. So, it is nothing but repetitive. But if you really want to impress your target audience and do something to grab their attention, you must opt for car wraps. Vehicle wraps are a marvelous idea that can really work. It is unique, smart, and affordable. We, at Titan Wraps, can be the right solution for all kinds of custom vehicle wraps for you. 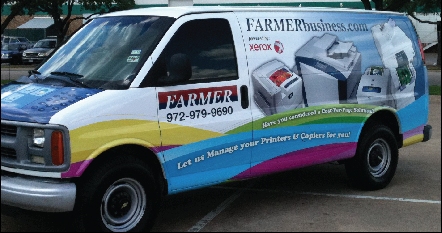 We are experts in vinyl wraps for cars, trucks, or vans and can help you promote your business in the most impressive manner possible. With our quality products and dedicated service, we are definitely one of the most preferred choices in areas like Carrollton TX, Dallas TX, DFW, Frisco TX, Lewisville TX, and Plano. So, if you are really considering this novel approach to business promotion, we can support you. Here, we have put together a few major things to compare while choosing the right company for vehicle wraps. Take a look. The first and foremost thing that you need to compare is the quality of the wraps for the vehicles. You must understand that the vehicle wrap is the face of your brand when you advertise about your products a d service on it. So, it needs to be of a top-notch level. The next thing that you must compare is the reputation of the company. You have to find out about the client feedback and online ratings and reviews to compare them with other companies and see which one seems appropriate for you. So, after comparing these details, if you think we can be the right choice for you, call us at 214-901-6703 now.